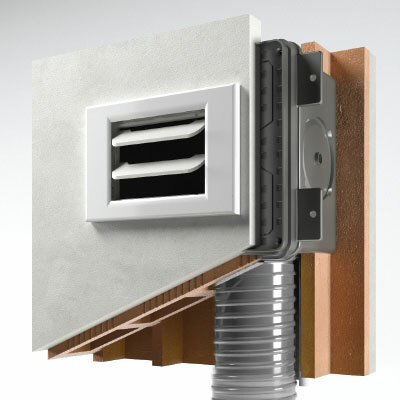 The first mvhr vent to coordinate with cover plates of home electrical system. 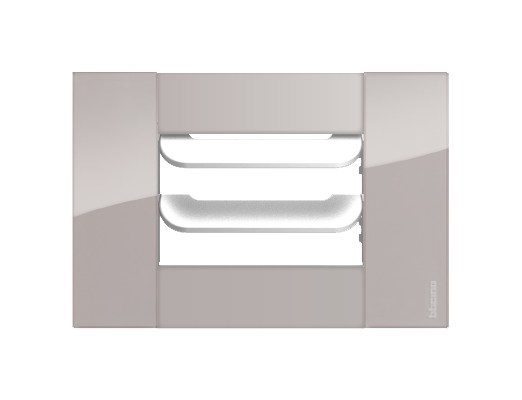 Disappair mvhr vent receives 503-style cover plates, allowing you to define their color and finish depending on your environment. 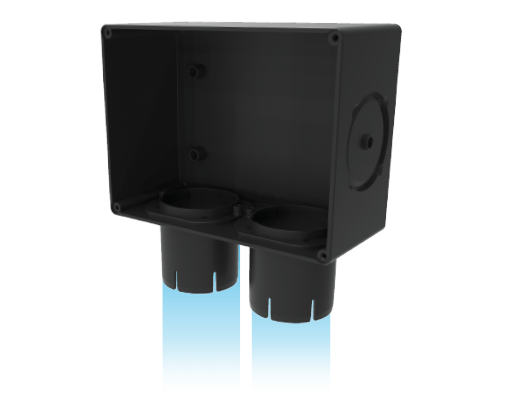 Disappair mvhr box, only 83 mm deep, is also suitable for installation on brick partition walls, plasterboard or 10 cm moving walls. In addition to the considerable flexibility and manageability that simplify its installation, new generation ducting pipe allow the total passage even on 90° curvatures with reduced radius and, with the same internal diameter, a reduction of the external diameter of 7 mm. Disappair vent box cover is designed to fit grid 503 style, but in need, both for different aesthetic coordination and for flow rate increasing, is possible to version the cover for the application of a traditional double-flow grid metal vent. Usually grid 1006 version is used (recommended) in technical rooms for extracting stale moist air, where double flow often coincides, moreover, coming extractions positioned at the top (near the ceiling), more easily to aesthetically coordinate with bathroom accessories. Wanna know more on Disappair?